The lighting makes them look epic! Also, surely it was the sauropods who stank more, what with being hyperguzzling machines, and probably methane-release extraordinaires..
Watch it, bub. Those are sauropods you’re talking about. Don’t think of them as decaton fart machines, but rather as Mesozoic climate enhancers. Isn’t it mostly ruminants that produce methane? Consensus is that sauropods were hindgut fermenters. And, yes, it’s a sensational picture. There’s a subtle forced perspective here that makes the Wedel lab look even smaller than it really is, so that even little Dicraeosaurus looks gigantic in comparison. So need to get there sometime. SVP, do you hear me? Hopefully Berlin will be the first holiday that my girlfriend and I will take together. She can go off and do normal people stuff, and I will just stare at this skeletal assemblage for hours. And hours. And a bit longer. Marc, I will drag you into one or two selected non-palaeo museums. Just ask Vanessa Graff and Matt Wedel about the Pergamon. It’s true. Heinrich threatened to drag me to the Pergamon by main force. We went Tuesday morning, and it was epic. 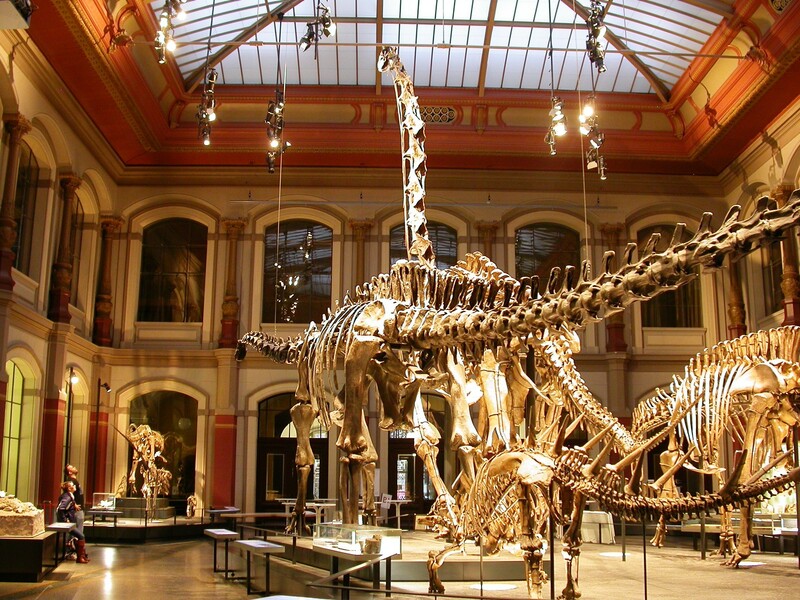 Enough that from now on I will tell people that if they have only half a day to spend in Berlin, they should see the Museum fur Naturkunde, but if they have a whole day, they should spend half at the MfN and half at the Pergamon. Of course, one could easily spend two or three days at each place, but for those without that luxury, it is better to have seen them briefly than not to have seen them.